Rad-Reader: What was your inspiration behind Brit? 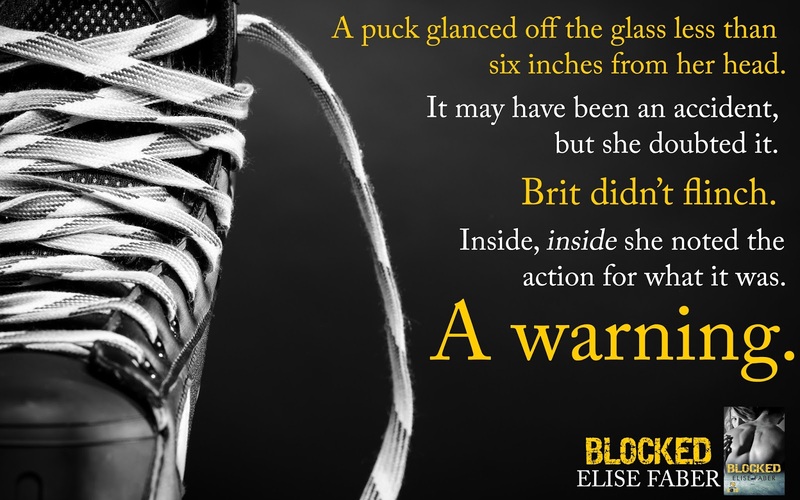 Elise: I've been playing coed hockey for years now and being the only female in the locker room for many years has brought a lot of both awkward and funny stories. I thought it would be fun to share a few in a fictional world where I could play around with the silliness (and drama) that sometimes happens on a team. Rad-Reader: Did you have to do a lot of research on goalies in the NHL to make her character feel so real? Elise: I'm glad she felt so real! 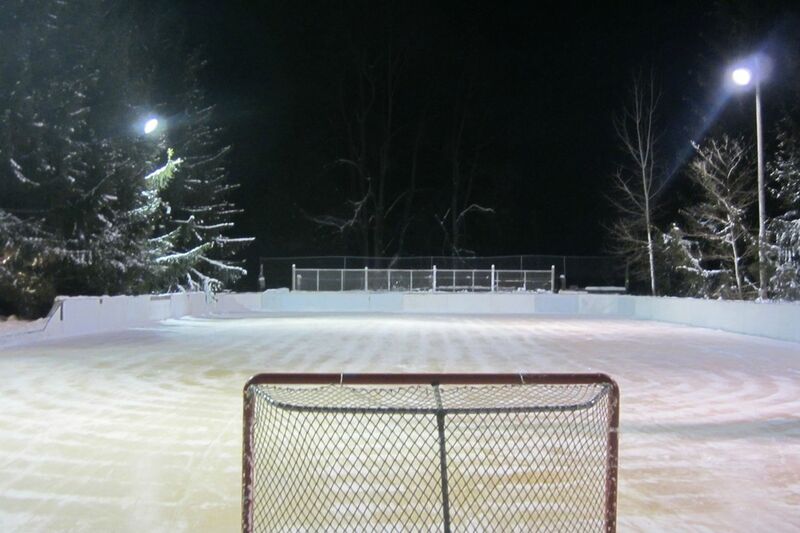 Playing hockey is the basis of my research. I know several people who have played at high levels as a goalie and it was great to be able to pick their brains for the bits that I didn't know since I've never played that position. Rad-Reader: Stefan was an interesting character how did you come up with his back story? Elise: I wanted a male lead who was alpha and yet not the traditional He-man, brooding character. I liked the idea that he'd had to be the man of his house from the time he was little. And from personal experience, I know all about dad drama, it was nice to be able to write cathartically and put some of that to rest. Rad-Reader: The character Mike Stewart did you base him on one person or a few people? Elise: Definitely a few of the people (who shall remain nameless :) ) that I've played with over the years. Rad-Reader: I liked Frankie the Coach. What was your inspiration behind him? Elise: I thought Brit needed someone on her side and I wanted him to be a contrast to Bernard. He's based loosely on a soccer coach I had and a SJ Sharks goalie coach from the 2000's, Warren Strelow. I saw a piece on Strelow during that time as he was coaching the players. Though this is definitely shaded through younger eyes and I didn't know him personally, his on-camera interaction was how I pictured a goalie coach should be. Rad-Reader: Was this a story you had been wanting to write for a while? Elise: Yes! 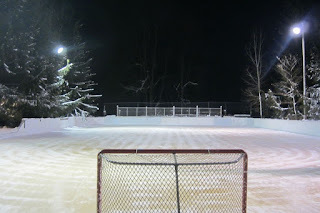 I was dying to find the time to write hockey. I play, my husband plays (which was how we met), my kids play. I also coach women and girls, as well as my boys alongside my Hubs. Our family lives and breathes hockey and it was a blast to create my own mental team. Rad-Reader: Did you add the father to Stefan while you were writing the story or did you always plan on him showing up? Elise: I'd always planned on him showing up. I wanted a twist and it's on my docket to write a novella featuring Stefan's parents. Rad-Reader: What was or was anyone, in particular, the inspiration behind Stefan’s mother’s character? Elise: One of my friend's mothers was fighting cancer at the time. It's such a horrible disease that has impacted so many people. I wanted to write about something we've all dealt with. 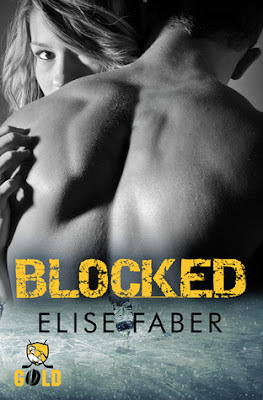 Rad-Reader: Your book is one of the few books about hockey romance that also had scenes taking place while the team was practicing. Was that something you decided on at the onset of the story or did it just happen? I must say I enjoyed those added scenes. Rad-Reader: Do you sit down and just start writing or do you come up with an outline and stick to it? Elise: I usually have a bare bone outline and an ending. The rest comes along the way. Rad-Reader: Did you do anything special either for yourself or your family after you got your first book published? Elise: No! The funny thing is that we were supposed to go to a fancy dinner, but as typically happens, life got in the way. 2014 my first book came out and it's 2017 so I'm not thinking that dinner is going to happen! :) But my husband has always been incredibly supportive of my books. I think the reality for most authors is by the time your book comes out, you're working on one-two novels past that and so sometimes it's hard to pause and enjoy the moment. Rad-Reader: You had multiple conflicts in Blocked. How did you decide when to add each one to the story? Rad-Reader: An out of the way question I was wondering if you follow the women’s National team or men’s or both? 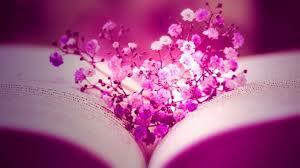 Rad-Reader: What song out now best tells the story of your couple or the book overall? Elise: This is my playlist (https://open.spotify.com/user/12150839362/playlist/2GZfi4AjzDQMaanXKlmHvJ) but I end up listening to Ship to Wreck by Florence + the Machine and Tennessee Whiskey by Chris Stapleton a lot when I write Gold books. 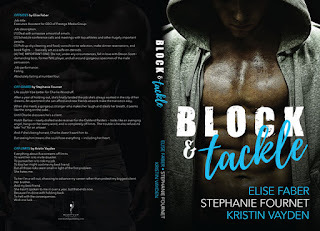 Elise: I just had two releases in March and April, Block & Tackle (a Gold novella) and Backhand (Gold #2). My next release is May and is a standalone contemporary romcom called Train Wreck. Rad-Reader: When did you know you know you wanted to be a writer? Elise: Always! I've always had stories, I'm just lucky now I get to share them with the world. Rad-Reader: Who was your biggest cheerleader? Elise: My husband. Hands down. 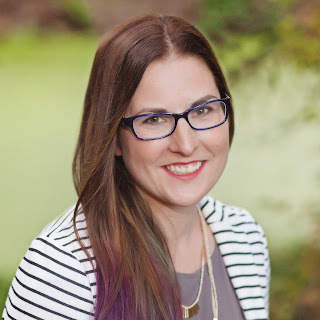 Elise: I went to a convention as a reader and an author asked if I wrote. When I said, I hoped to someday, they told me that day would never come unless I sat down and actually wrote. I wrote my first book that year and was published the following. Elise: My amazon page has all my links (www.amazon.com/author/elisefaber) as well as my website (www.elisefaber.com). I'm also available iBooks, B&N, Kobo, and Smashwords. We would like to thank Elise for being with us. My hubby was so jazzed meeting her at last years InD'Scribe's Conference. 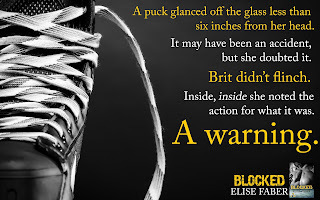 Because she does a hockey series just like a friend of her's that didn't make it to the weekend so it was fun for them to talk. Then he was able to hear about her book and walla we score an interview. So, thanks to her she and Marina Adair got my hubby talk that weekend to all the authors it was unreal. Thanks for that too. :) We hope our schedule works out and we make the conference this year and we hope to see you there again. Thanks for taking the time to answer hubby's questions. Now you are a 1 Rad-Reader Misfit too.